In addition to features, amenities, and layout, location plays a big part in your decision. Choosing the right neighborhood can make a big difference in your lifestyle. 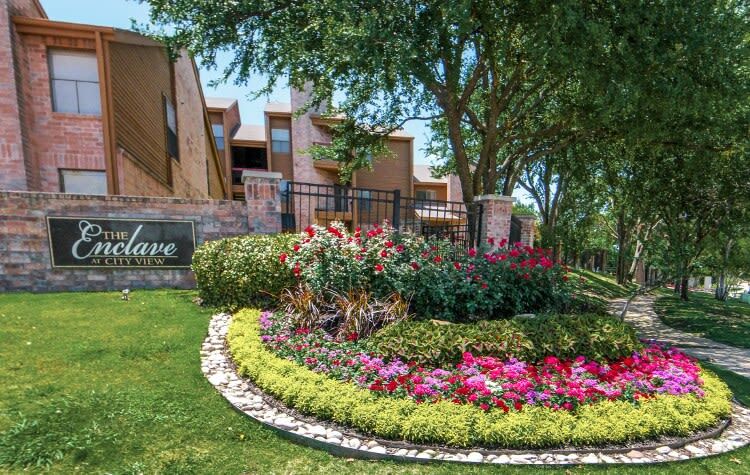 Enclave at Cityview boasts a great location in the Cityview neighborhood of Fort Worth, TX. Here, you’ll be close to Benbrook Lake, the Cityview shopping area, Clear Fork Ranch, and Hulen Mall, with access to all of the Dallas/Fort Worth area via Chisholm Trail Parkway, I-30, I-20, and Loop 820. Nearby grocery stores and proximity to major employers make our corner of Fort Worth the ideal neighborhood. Our location in the Cityview/Benbrook neighborhood of Fort Worth places you near the cultural, entertainment, and recreational endeavors you desire most. We’re five minutes from Sundance Square in downtown Fort Worth. Go shopping at Hulen Mall or Cityview Towne Crossing. Stroll to delicious restaurants such as Saltgrass, Abuelos, Rio Mambo, Razzoo’s Cajun Cafe, and Szechuan Restaurant City View. Catch the Cowboys game or enjoy an evening of live music at BoomerJacks. The Cityview/Benbrook neighborhood and Enclave at Cityview offer residents a superior location and lifestyle in Fort Worth. Contact us to schedule your personal tour today!